I had been meaning to take B to Chicago Fire Pizzeria, they had just opened a new location closer to my house, and I have been to their other location in Folsom. You may remember my other post from my last visit. 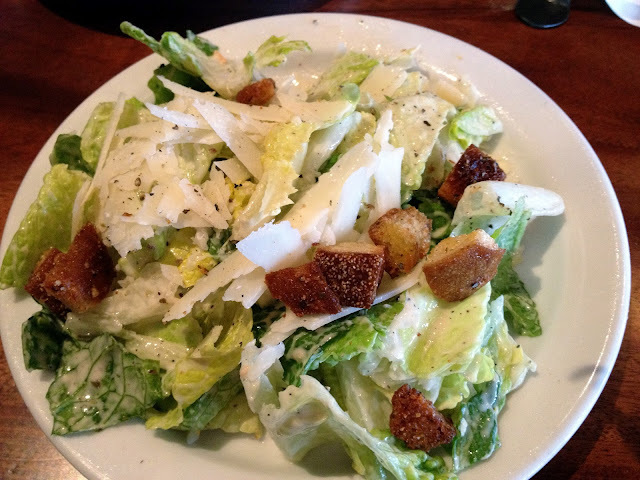 Anyways, I didn't like the Caesar Salad at the other location, the lettuce was wilting and kind of brown, but the one I had at the new location was fresh, crisp and very tasty! I was glad I decided to try it again. I had heard of their Greek Fries, and since I love French fries more than all other foods combined, I had to try them too! They had great flavor, and they serve a wedge of lemon with them. 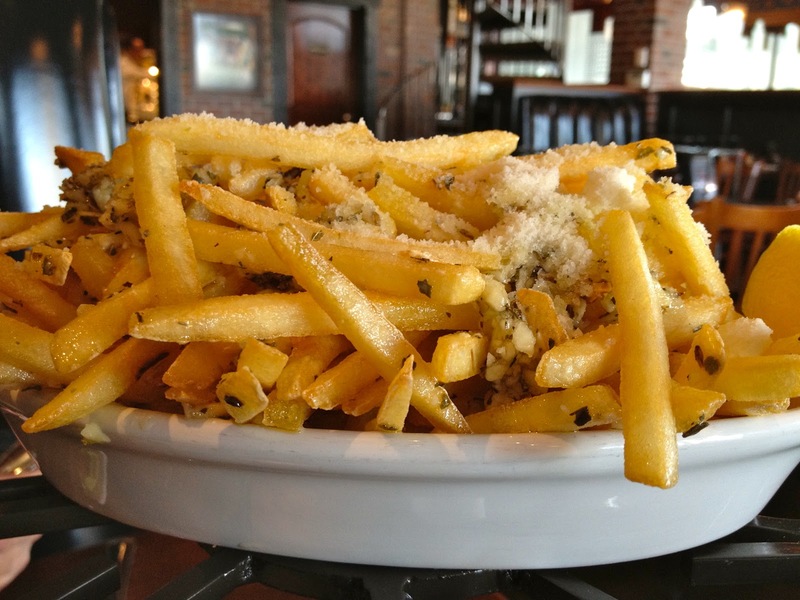 I highly suggestion squeezing it over them lightly, it adds a nice tang to the fries. The small was perfect to share between the two of us, but if you have a larger dining party, you should probably get the large. 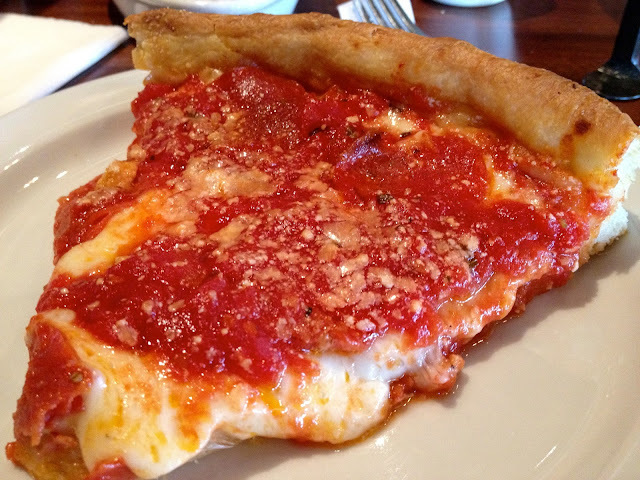 Since I had already tried their thin crust pizza and loved it, I had to know how their deep dish pizza would be. 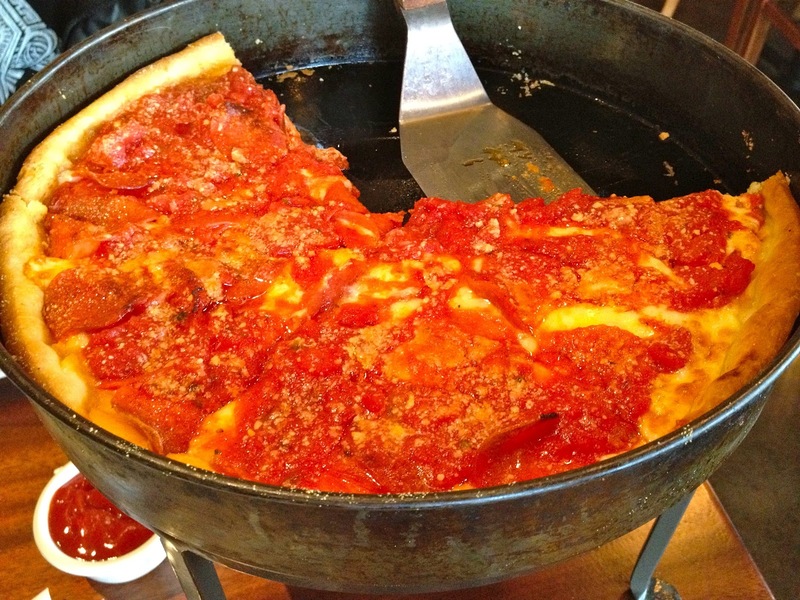 B also likes deep dish more than thin usually, so we just stuck with the classic Pepperoni Deep Dish. It was very good, but I didn't like the crust as much as I liked the thin crust. It was however very good as leftovers. We ordered a medium, so we could take home the leftovers. I really enjoyed the new location, it wasn't busy, and our drinks were refilled frequently. I will definitely go back and try some of their other menu items!